Meanwhile, at the nearby Hideaway Lodge, a domestic quarrel ends in tragedy. As April and Caleb's life together begins, death parts another man and woman in angry violence--and as the two stories gradually intersect, their juxtaposition explores the tangled roots of vulnerability and desire. 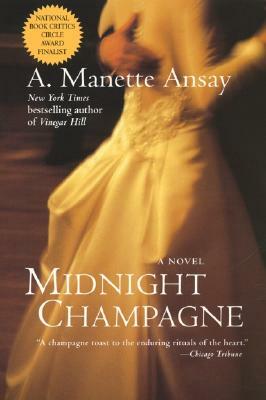 By the time the last polka has been danced and the bouquet tossed, Midnight Champagne has cast an extraordinary spell. From the novel's opening epigraph from Chekhov--"If you fear loneliness, then marriage is not for you"--to its final moments in the honeymoon suite, A. Manette Ansay weaves tenderness and fury, passion and wonder into a startling tapestry of love in all its paradox and power.